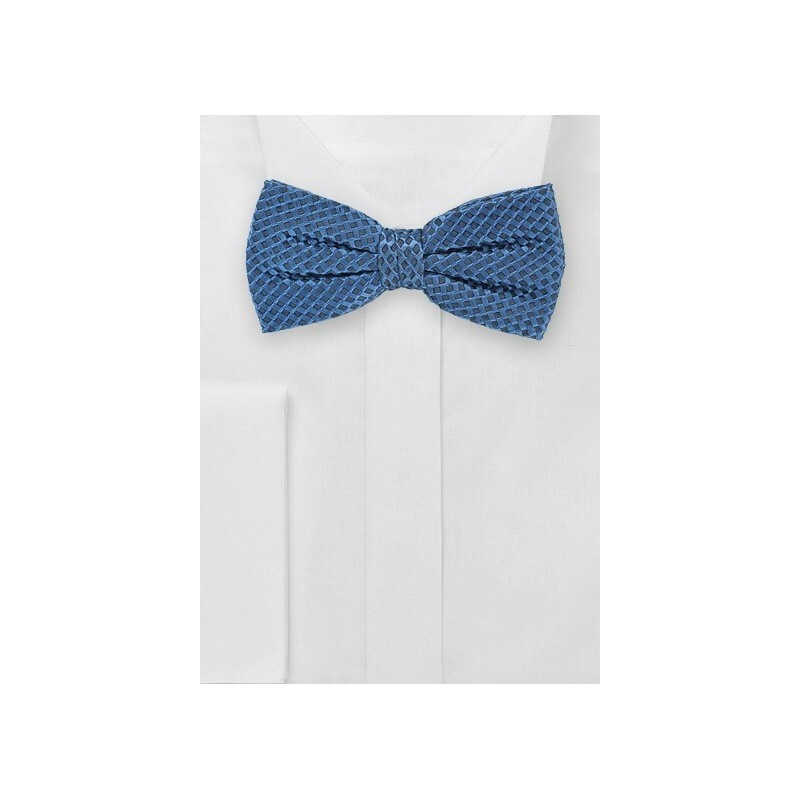 Dress yourself with extra class and style by wearing this sharp and stylish pure silk bowtie. This dragonfly blue shade is just the right amount of potency to attract onlookers, yet gives you an all around versatile look. What more could you ask for from a bowtie? Our designers, Cantucci, wove this piece to mimic a type of waffle cone to give you a look fit for a prince. 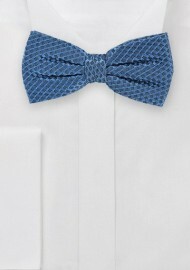 This is a pre-tied bowtie, so you don't have to worry about anything except adjusting this to your neck. Wear this piece classically, at a wedding or formal occasion. Pair this with a classic black suit and crisp white shirt. You will look like modern Prince Charming. The silk of this tie is from Italy. Bow Tie Size: 2.5". One size fits all.